When it comes to making a decision about about improving your business processes using technology you can sometimes overlook the advantages of having a custom made solution created specifically for your businesses needs. The overall aim of any company when it comes to making a decision on whether to go for an off the shelf solution or custom made software is will this purchase help streamline your business processes, increase GP and ultimately give you a return on your investment. 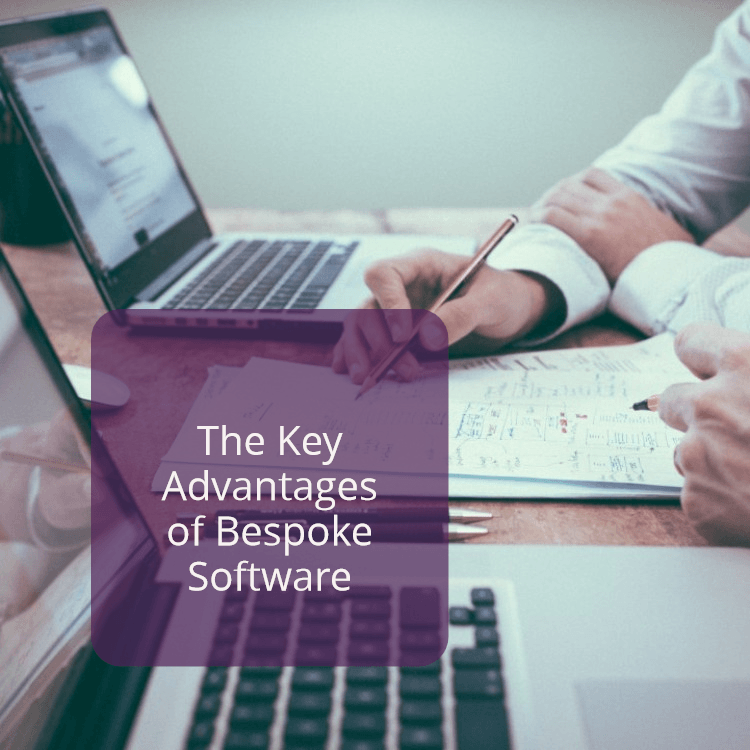 When making a decision, it is worth bearing in mind some of the distinct key advantages of bespoke software that sets it apart from an off the shelf solution. Bespoke software ensures that it’s a perfect fit for your business needs. Bespoke software is created specifically for your businesses needs. Whether its removing the paper and the pen or integrating separate systems, bespoke software is created for your needs and requirements working to streamline whatever process you need worked on. Bespoke software offer scalability and further development. With bespoke software you can easily add more features as and when the need arises. This gives it a distinct advantage over most “off the shelf” which can’t be scaled up or developed further. Bespoke Software can cut down on expensive “off the shelf” licensing and service costs cutting out the need for expensive licences and and reoccurring service and support costs. Bespoke software development can help protect your business from external security threats. The majority of successful hacking attempts performed on businesses are as a result of hackers exploiting known software vulnerabilities in commonly-used software. Bespoke software will be a much less attractive target for hackers as it will require comparatively much more effort to learn how to breach the system. Bespoke Software development interacts with your software platforms which is something very few off the shelf software platforms can achieve. It is designed to work seamlessly with your current business software environment. At Hybrid Technology Partners we have been at the forefront of developing bespoke software solutions for clients and organizations of various types and sizes. We have extensive experience in all stages of the implementation process from the initial requirements gathering right through to project completion. Why not call us on 061 211444 or 01 5310030 or email us info@hybridtp.ie to talk further about how a bespoke software solution can improve your business processes and increase profits.